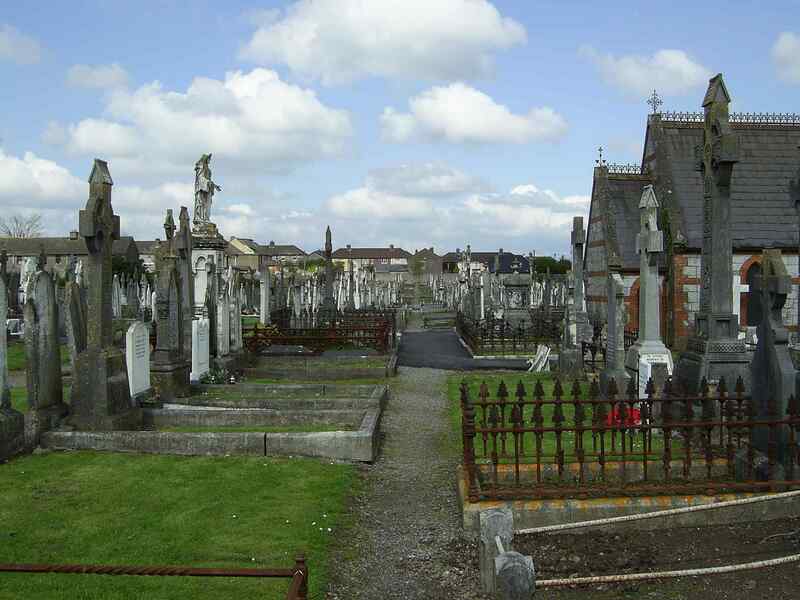 St.Joseph's cemetery, Tory Top Road, Ballyphehane, SC Cork city. 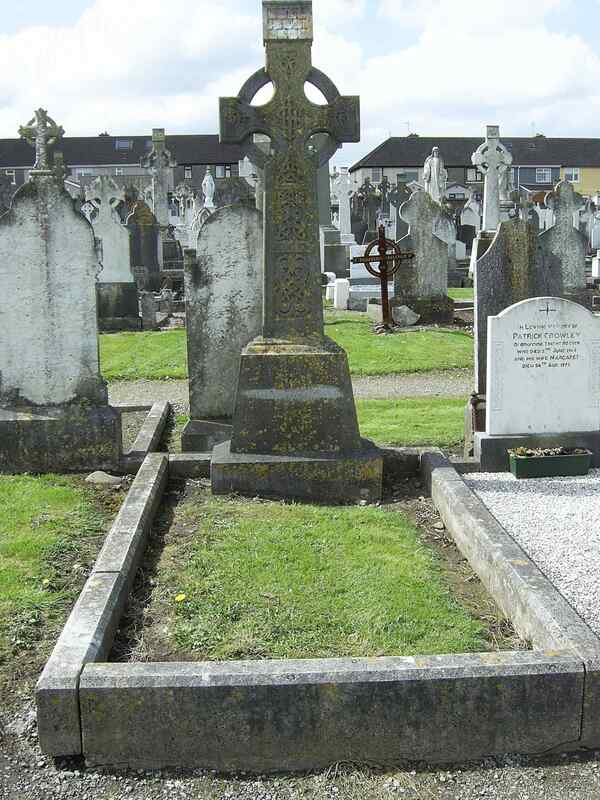 Grave of Blennerhassett Cashel is solid grey Celtic cross, in Section 1 of St.Patrick's area (on outskirts of St.Patrick's area), row 3, plot 8, just SW of the large chapel. Note chapel inside graveyard, to NW of main entrance. Grave is just SW of chapel. Blennerhassett Cashel grave is just SW of the large chapel. 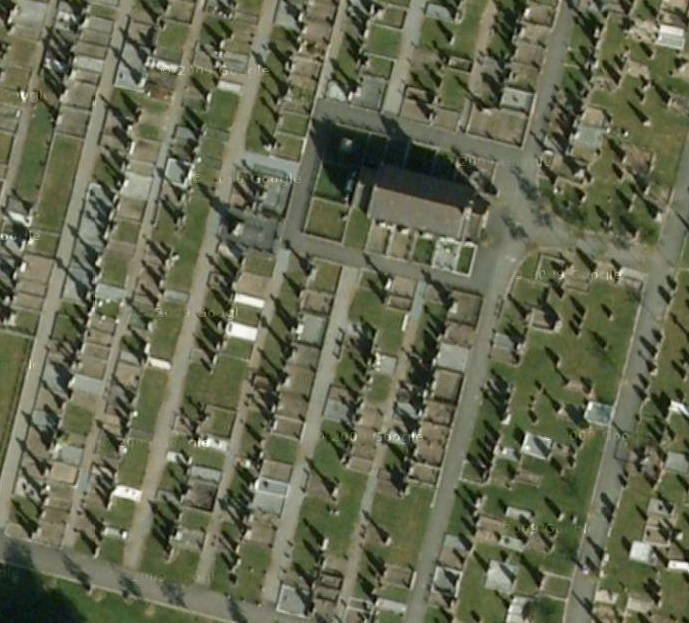 Location of grave of Blennerhassett Cashel (Celtic cross on LHS), St.Joseph's cemetery, Cork. 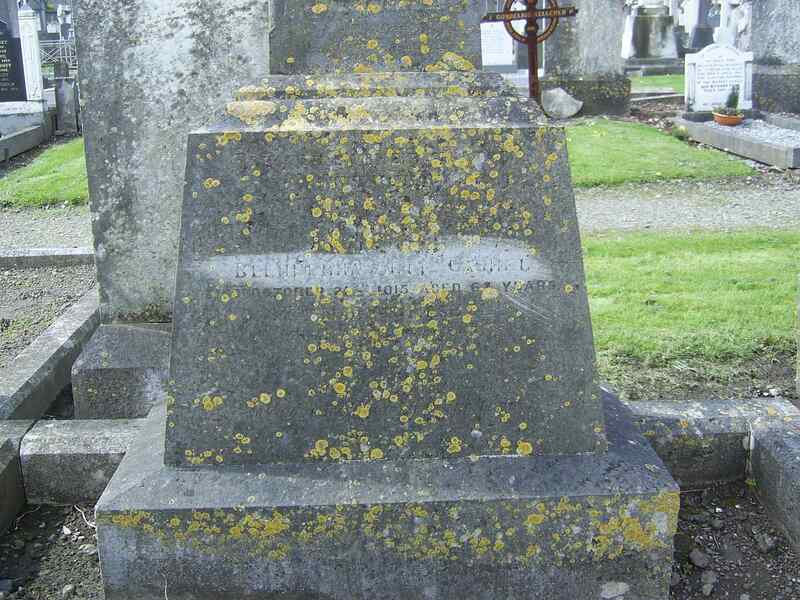 Grave of Blennerhassett Cashel. Photo 2006. See full size. Close-up of above. Photo 2006. See full size.